Unihedron offers the following variations on the dark sky light meter categorized into hand-held or connected models. 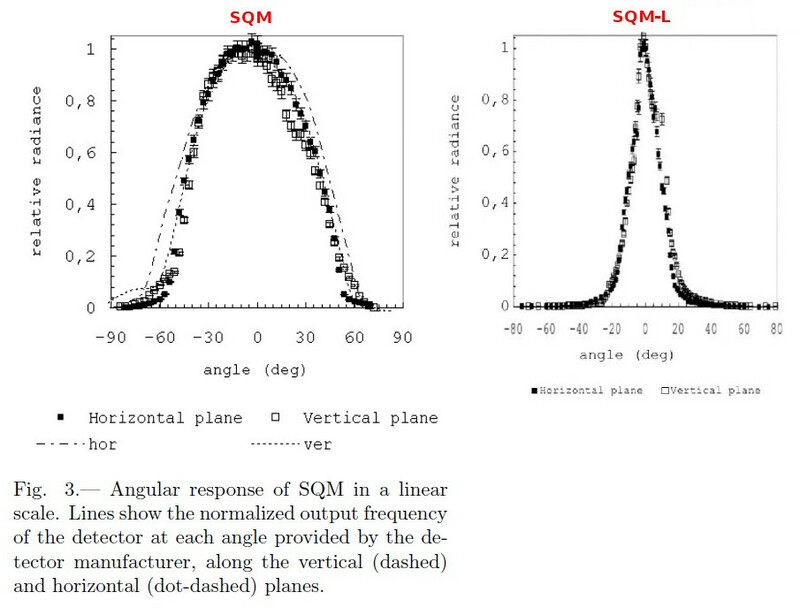 The best choice for casual astronomy or environmental dark sky measurements is the SQM-L. It is a hand-held model that provides a quick reading. The narrow field of view (~20°) is suitable for urban and rural settings. The SQM has a wide field of response (~42°) which is more suited for rural use where trees or streetlights are not directly in the field of view. If you want the readings sent directly to a computer, but not instantly readable in your hand, then one of the connected models is a better choice. Software running on a computer must be used to read and/or record the light value from the meter. All connected meters use the narrow field of view like the SQM-L, and custom orders can be made to remove the lens if necessary. The SQM-LU (USB) connects with a 15ft (3m) USB cable to a computer. A cable extender could be used to obtain a 198ft extension. The SQM-LE (Ethernet) connects to either a computer or network router with an Ethernet cable and must also be powered separately (AC adapter included). The readings can also be directly read over the Internet. The SQM-LU-DL can be powered by an external battery pack (included) and take readings autonomously over extended periods. This model is suitable for gathering unattended readings from a remote site. The readings can be downloaded to a computer later with the supplied USB cable. The SQM-LR (RS232) connects to a computer with an RS232 cable (6ft is supplied, 300 ft max) and must also be powered separately (AC adapter included). This is useful for computers or modems that have an RS232 connection.